ST. GEORGE — Despite a pending lawsuit from the state of Utah and other organizations against the U.S. Department of the Interior and Department of Agriculture, the Bureau of Land Management is moving forward with its efforts to conserve habitat vital to healthy populations of the greater sage-grouse in the West. The BLM announced Thursday the draft proposal to potentially withdraw a subset of lands that are sage-grouse strongholds from future mining claims. 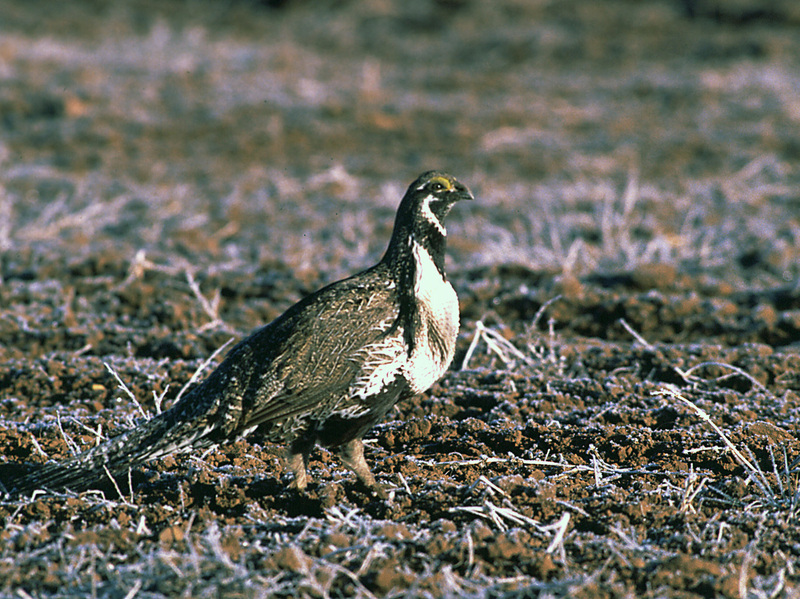 Based on public comments received during the scoping period over the last year, the BLM’s draft environmental impact statement analyzes five alternatives, ranging from no action to the withdrawal of approximately 10 million acres of federal locatable minerals in certain areas that are particularly crucial to the greater sage-grouse in six states. However, the current administration has not publicly stated which of the alternatives is preferable. The land that could be affected by the proposals includes about 6,190 square miles in Idaho, 4,320 in Nevada, 2,880 in Oregon, 1,370 in Montana, 414 in Wyoming and 365 in Utah. The announcement by the BLM opens a 90-day public comment period that will end March 30, 2017. The BLM will also host eight public meetings throughout the West in February to gather input on the proposal and alternatives to the proposal. Secretary of the Interior Sally Jewell first announced the proposed withdrawal in September 2015 as part of the unprecedented landscape-scale effort that began with the BLM and its state and federal partners’ successful efforts to prevent the greater sage-grouse from being listed under the Endangered Species Act, something which could bring even stricter limits on mining, drilling, agriculture and other activity. But the plan is under attack from both sides, with critics saying it is either too restrictive or too lax. Environmental groups and energy companies have filed lawsuits seeking to overturn all or parts of the plan. In Utah, state officials and the School and Institutional Trust Lands Administration filed in February a complaint for declaratory and injunctive relief in the U.S. District Court, District of Utah, Central Division. The complaint claims that the United States Department of Interior and Department of Agriculture have overthrown Utah’s 2013 sage-grouse conservation plan through the 2015 adoption of amended land use plans for millions of acres of federal lands in Utah. This one-size-fits-all decision does not reflect the tremendous diversity in greater sage-grouse habitats across the West. Today’s action by the state will allow greater flexibility in protecting this unique species while allowing reasonable economic growth in rural Utah. I have always believed that, as a state, Utah is better positioned to manage our sage-grouse population than the federal government. 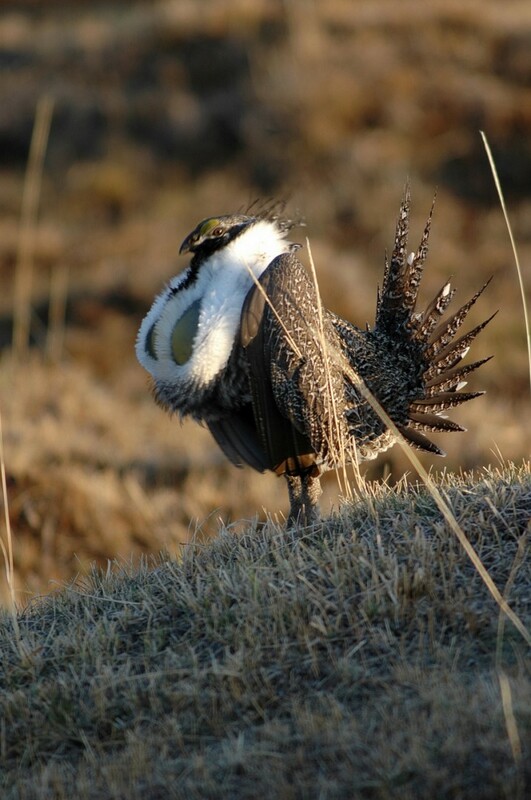 Utah has adopted a strong conservation plan designed to protect, enhance and restore sage-grouse habitats throughout the state. This effort by Utah has resulted in the restoration of more than 500,000 acres of sage-grouse habitat and a significant growth in sage-grouse populations. It is unfortunate that the federal government has decided to reject this successful plan. Utah Republican Sens Orrin Hatch and Mike Lee released similar statements of support. Since the original filing, the District Court has allowed National Audubon Society, National Wildlife Federation, Natural Resources Defense Council, Southern Utah Wilderness Alliance and the Wilderness Society to join in the lawsuit as intervenor defendants. The court also allowed American Farm Bureau Federation and Utah Farm Bureau Federation to join in the lawsuit via an intervenor complaint making them intervenor plaintiffs. The case is still pending pretrial motions, including plaintiffs asking the court to compel defendants to produce documents that certain parties are saying are either privileged or exempt from the Freedom of Information Act. To develop the proposal announced Thursday and its alternatives, the BLM held public meetings in November 2015 in the six aforementioned Western states that would be affected by the proposal. These meetings were held to gather information and comments about whether to withdraw these areas from the location of new mining claims for up to 20 years. The BLM also incorporated a mineral resource assessment prepared by the U.S. Geological Survey to help develop a reasonably foreseeable development scenario for the draft statement. In addition to releasing the draft environmental impact statement, the agency published a notice of amended proposed withdrawal that would add about 388,000 acres to the approximately 10 million acres that are already temporarily segregated under the mining laws until Sept. 24, 2017. These lands represent a proposal by the state of Nevada that areas adjacent to sagebrush focal areas that contain high value habitat and identified greater sage-grouse populations should be withdrawn, instead of high mineral development potential areas in the focal areas. The draft environmental impact statement includes an alternative that evaluates the environmental consequences of this substitution. After the public comment period ends in March, President-elect Donald Trump’s administration will decide which option to choose, if any. According to The Associated Press, it’s not yet clear whether Trump or his choice for Interior Secretary, Republican Rep. Ryan Zinke of Montana, would continue to pursue the current sage grouse conservation plans, modify them or scrap them. Randi Spivak of the the Center for Biological Diversity said all mining is harmful to sage grouse. She said Zinke, who describes himself as a “Teddy Roosevelt Republican,” could emulate the conservationist Roosevelt by protecting the bird. At one time, the greater sage-grouse population likely numbered in the millions, according to a press release from the BLM, but is estimated to have dwindled to 200,000-500,000 individuals range-wide. The size of the population is considered an indicator of the overall health of the Western sagebrush ecosystem and the other species besides the sage-grouse that depend on it, including more than 350 other animal and plant species in the Western United States. A fact sheet on the issue from the BLM, as well as the draft environmental impact statement and notice of amended proposed withdrawal, dates and times for public meetings and a map of the proposed withdrawals can be found here. DAN ELLIOT of The Associated Press contributed to this report. I hear those grouse taste just like chicken. can we confirm if wilbur is an alias of “….”?